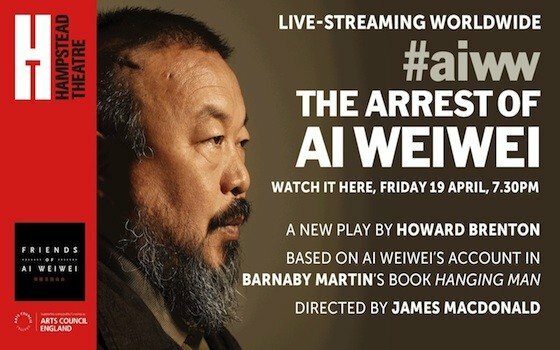 It was July 2011 and Ai Weiwei, one of the most important artists of the twenty-first century, was under house arrest in Beijing. He had just been released from detention and he was forbidden from talking to journalists or fellow dissidents, he was obliged to report all his proposed movements to his minders and when he did leave his house he was tailed and shadowed by undercover police. It wasn't exactly the 'freedom' he'd been hoping for but as I was soon to discover, it was immeasurably better than his experience inside. Just prior to Ai Weiwei's arrest I had been planning to write a book about Chinese art from the late nineteen seventies – focusing on the work of 'The Stars' group of artists. This show would have included some of Weiwei's earliest work, as he was one of the founding members of 'The Stars'. The late seventies was a crux point in Chinese history. In 1976 both Chairman Mao and Zhou Enlai died. A line was drawn under the horrors of the Cultural Revolution. Deng Xiaoping, wishing to put some clear water between himself and the Gang of Four, even allowed modest displays of public discontent to take place on the streets of Beijing. 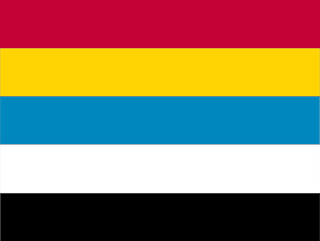 This short-lived period of relative freedom is traditionally referred to as the Beijing Spring. 'The Stars' tested Deng's new found tolerance by staging an illegal art show. They hung their work along the railings outside the National Gallery in Beijing. It is hard to appreciate the radicalism of their actions today, particularly in the West. All the art schools in China had been closed during the Cultural Revolution; it was illegal to organize exhibitions; it was effectively illegal to make art in anything other than the 'Revolutionary Realist' style. Had the Cultural Revolution still been going on, 'The Stars' would have been rounded up and either murdered, or imprisoned. But the artists that made up 'The Stars' were emboldened by the death of Mao and by Deng's lighter touch. There were only twelve founding members of 'The Stars'. 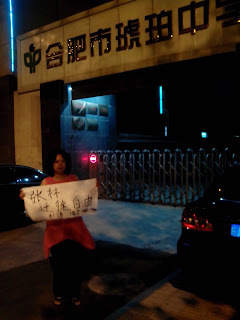 Together with their small band of supporters, they marched up Chang'an avenue to Tiananmen Square, under a banner demanding 'Democracy and Freedom of Expression'. The illegal show – heavily influenced by the Cubists and Fauvists, was taken down immediately and over the ensuing couple of years, the twelve members of 'The Stars' were harassed and bullied by the police. By 1983 most of them had gone into exile. The young Ai Weiwei was one of the twelve original members of 'The Stars'. He left for New York in 1981. At the beginning of 2011 I approached Neil Belton at Faber and Faber with the rough idea for this book. After Neil had commissioned it, I got in touch with Weiwei and arranged to interview him at his house on the outskirts of Beijing. I thought we would go through the history of 'The Stars' and the background to his own art, and perhaps discuss the close relationship in his own work, and in that of many of his contemporaries, between art and political activism. However, a couple of days before I was due to travel, Weiwei was arrested without explanation whilst trying to board a flight to Hong Kong. He was imprisoned without trial for 81 days. A few days after Weiwei's sudden and mysterious release from detention, I phoned some journalists I know who work in Beijing. 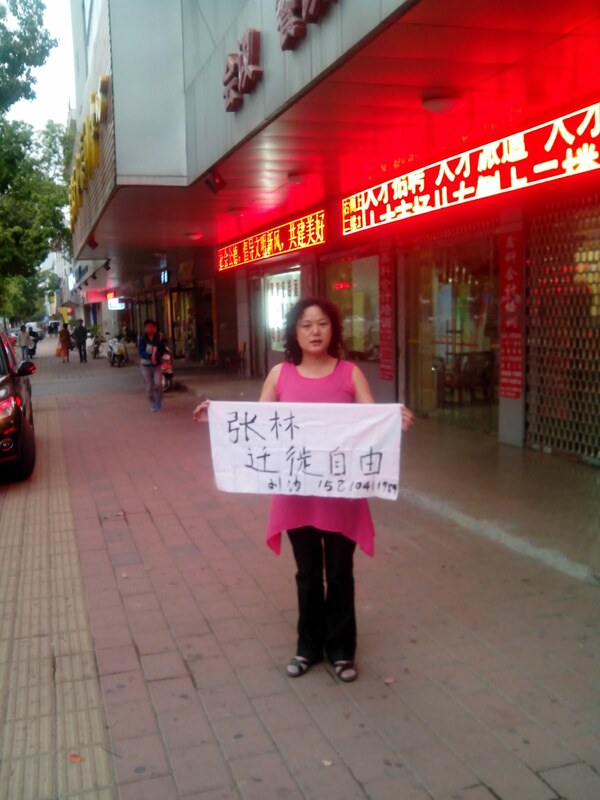 Weiwei was refusing all interviews because he was worried that if he did speak to anyone he would be rearrested for breaching the terms of his bail and he, understandably, didn't want to be detained again. I rang Weiwei's old mobile number. I assumed that the police would have confiscated it or turned it off, but to my surprise Weiwei answered. My first thought was that he sounded much older than when we had last spoken – much older and much slower. I wondered at that moment if they'd just broken him. But when I asked him what it had been like inside, his characteristic openness and alacrity suddenly returned: 'Come and visit and we can talk about everything,' he said. I agreed, but because his phone and email were tapped I couldn't tell him when I would arrive. A few days later, in Beijing, I went to Weiwei's house. I was jetlagged so had gone early to his house, at around 5am. This was fortunate: the police surveillance squad parked outside his house were fast asleep. I spent several days talking to Weiwei about his experiences in prison, his art and activism, his theories of art, reality and the individual, and his thoughts on the future of China. Weiwei is a natural raconteur and although he was still deeply traumatised by his experience inside, he went back through the experiences of his detention and recounted, in his inimitable English, the most incredible and bizarre story I have ever heard; at times terrifying, at times surreal, always mesmerising. And as I listened, it became clear that Weiwei's account, whilst on the surface an extremely local tale, a tale most definitely set in China at the beginning of the twenty-first century, was also a universal story of the struggle for freedom of expression, against a regime which seeks to silence those who are not reading from the official script. It was soon obvious to me that I should make a record for posterity of exactly what it is like to be 'disappeared' and to be held without trial and then interrogated for two months by the world's most powerful totalitarian regime. The leaders of the Chinese Communist Party are bullies and thugs. When they feel threatened they simply round up those who threaten them. There are none of the niceties of a formal arrest and trial. They control all the media in China and they invest billions in promoting China's 'soft power' around the world. Their huge cash reserves combined with their omnipotent PR machine are buying friends around the world; they are responsible for the plethora of new 'Confucius Institutes' that are popping up across the globe, as well as for the well-oiled, though eerily robotic, Beijing Olympics (which Weiwei has referred to as a 'fake smile'). At the beginning of 2011, as soon as it became clear that the uprising in Tunisia was contagious, the politburo lost no time in instructing the security forces to act. As Tania Branigan of The Guardian observed at the time, it was as if they had gone down the list of human rights activists and simply arrested everyone, regardless of whether or not they were in any way active at the time. Scores of people were detained without trial. They were abused and tortured; many of those who were arrested in the round-up and have since been released still have difficulty sleeping, they suffer from paranoia, they are traumatised; and some of those arrested are still unaccounted for and their relatives have still not been informed about their whereabouts or likely fates. One man, alone in a cell, being cross-examined and terrorized by interrogators who are his ideological enemies in every way. Weiwei said that throughout the eighty one day ordeal, he often thought of what had happened to his father fifty years earlier. Weiwei's father, Ai Qing, had at one time been the unofficial poet laureate of China. He was a friend of Mao, he was among the Party's inner circle during the civil war. To this day, his poems are learned off by heart by schoolchildren and recited at public rallies by Jiang Zemin. But Ai Qing had not begun life as a poet. In his youth he was an artist. In 1923 he went to Paris and studied art. But on his return to China he immediately became caught up in the civil war. He was arrested in Shanghai by the Nationalists and jailed for three years and so for three years that he was unable to paint and it was in jail that he began to write poetry. "I often thought of my father," Weiwei said, "as I sat there day after day, and I thought how he had made something of his time inside – how he had turned it into art. And I thought this experience so extraordinary, that if ever I get out of here alive, I will make it into a play." Weiwei is an internationally renowned artist, a world-class architect and a gifted writer but for all his multifarious talents he is not a playwright. And I am not a playwright either (I did attempt to turn what had now become the book 'Hanging Man' into a play but the finished product lacked any breath of life at all). But the material in 'Hanging Man' was so obviously dramatic that something had to be done with it. I decided to approach Ben Hall for advice. Ben is a literary agent at Curtis Brown. He advised me to write to the artistic directors of The National, The Royal Court and The Hampstead Theatre. The National and the Royal Court offered some development time but after my first attempt at playwriting I thought that if I accepted either of their offers, all I would do was squander the material that in the hands of a proper playwright could be turned into something brilliant. It was then the Greg Ripley-Duggan and Edward Hall of Hampstead Theatre stepped in. They both liked 'Hanging Man', or more specifically they agreed that Weiwei's account was perfectly suited for adaption to the stage. And they had another idea: they wanted to get Howard Brenton to write the adaption. Howard Brenton's background made him the ideal candidate. Not only is he one of the most highly regarded playwrights in the country, but throughout his career he has often written about the themes of revolution and failed revolution, and about the dilemmas faced by the individual when he or she is confronted by overweening power. Furthermore, over the last decade, Howard Brenton has added another string to his bow: he was one of the main writers for Spooks, the highly acclaimed BBC series about the netherworld of Intelligence. 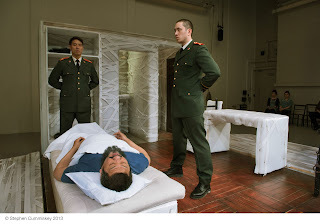 Dramatising the nightmare of a prolonged interrogation at the hands of secret police would not be so alien to him. Howard set to work. Mid-way through the process he was mulling over how best to portray the party cadres; the men in Mao suits who run China from behind the walls of Zhongnanhai; the grey men who argued over, and ultimately decided, Ai Weiwei's fate. By chance, Jeremy Page, the political correspondent for The Wall Street Journal in Beijing, was coming through London. In the world of China-watching Jeremy is famous as the journalist who broke the story that connected Bo Xilai, the former Mayor of Chongqing, and his wife to the murder of Neil Heywood, a British businessman. Bo Xilai now languishes in jail, and Jeremy's revelations rocked the upper echelons of the Communist Party. There are few people in the world better informed about the way the upper echelons of the Communist Party go about their business. We met in Soho and spent an evening discussing what must have gone on behind the scenes in Zhongnanhai, the Communist Party Headquarters, as the different factions argued over the fate of the imprisoned Ai Weiwei. By January the play was ready. Greg and Edward set about trying to find a director and a cast. From the start they knew exactly who they needed. Given the short notice, it seemed inconceivable that they would be anything other than disappointed. But good fortune prevailed: James Macdonald, the acclaimed director and Ashley Martin Davis, the prodigiously talented designer were prepared to rework their schedules to make sure they could take on the play. So now we had the makings of a team. At the beginning of February, we all got together for lunch in a café near Hampstead theatre. The meeting was very informal and for Howard Brenton, James Macdonald and Ashley Martin Davis it was entirely normal - the usual meet-up that takes place at the beginning of a project. For me it was a revelation. These three people, all at the top of their chosen professions, brainstorming together. It epitomizes what distinguishes the theatre from many other art forms. With a book, or a painting, it is one person in a room; with a play it is the combined knowledge and talents of a whole team of people. It is a different kind of alchemy and it relies on so many people all being on their mettle. It's no good having the best script in the world if the director isn't up to the job, and it's no good having the best director if the lead actor is having a bad day. But when you get the right team of motivated people and it works, theatre can affect us in a very fundamental way. As Howard Brenton likes to say, theatre 'bangs the pipes' in a way that book writing or painting doesn't. It's coming from somewhere older, somewhere deeper-down. And as I listened to them talking I admit I also felt a deep sense of relief, as if a burden had been lifted from my shoulders. Here was proof that there is a kind of Republic of Letters at work. 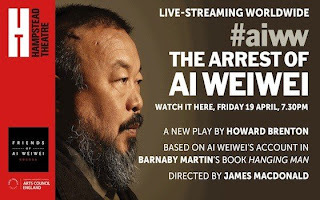 A plan hatched in Weiwei's house, as we had sat and talked late into the night surrounded by police - a plan to tell the story of what is really happening in China - was being realised two years later and thousands of miles away in small café in the leafy suburbs of Hampstead. Even the world's most powerful totalitarian regime, committed as it is to the suppression of freedom of expression, will never succeed against opposition as hydra-headed and determined as this. When you attack free speech and when you attempt to prohibit the freedom of artistic expression you will suddenly find that you have made yourself an awful lot of very motivated enemies: every actor in the world, every director and writer and producer, every magazine editor and stagehand, is prepared to stand up and be counted. Hampstead Theatre is experiencing something of a renaissance at the moment; within the theatre world it is acknowledged as something of a 'hit-factory'. We are very lucky because these mini-epochs of creativity don't last forever. Greg and Edward have an energy and a vision; they are prepared to try out daring and original material and because of their growing reputations it means they can draw the best people in theatre to Hampstead, whilst many other theatres of equal size do not have this pull. And they are lucky in turn, because they are one half of a contract; they are supported by an audience of regulars who are engaged with what is going on in the world and who want something new and who show their support in the most significant way possible: by choosing to spend their hard won evenings enjoying Hampstead Theatre's latest work. Monitor and compare certificates your application adopts for encrypted HTTPS web sites. Short too long URLs with only one click and get them copied shortened into your clipboard. Fastest, easiest YouTube downloader. MP3, FLV, MPEG, and HD formats. Read EPUB files just in the browser. No installation of additional software needed. 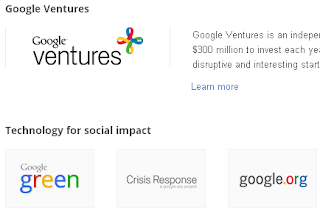 Provides easy way to recommend current page using Google +1. Grab content from web sites and rss feeds into an ePub/mobi file for your eBook reader. The Web. Displayed Your Way. Click to zap away rubbish. Hack out the noise, read, print in peace. * Save the changes to Stylish. * Remove Sidebars and Ads. * Widen Elements and Text. * Black on White. * Isolate. User empowerment (based on aardvark). Hides images/backgrounds/video/multimedia/flash elements on any page for increased privacy and readability. 让 Firefox 也能内嵌 IE 用双核心!!! Image Block adds a toggle button that conditionally blocks/allows loading of images on webpages. Blocking images results in faster browsing, especially helpful on handheld devices or slower connections like GSM/GPRS/EDGE dial-up etc. Read EPUB e-books and browse OPDS catalogs. Save exactly what you see, in a single file. MAFF (based on ZIP) is compact and exceptional for video and audio. MHT (Internet Explorer's format) allows easy exchange with IE users. Store many tabs, find original, and more! Print preview with integrated edit capability. Decide which companies can track you for advertising. TrackerWatcher shows you what companies may watch what you do on any web site and how they promise to handle your information. Adds an icon to the status bar to allow, block or prevent third-party images from loading. Fennec users enable to restart, otherwise a File -> Restart menu item will be added. Windows Compiled Help creator for the Scrapbook extension. Mozilla Archive Format creator for the Scrapbook extension. A full-featured blog editor that integrates with your browser and lets you easily post to your blogs. Google Search by Image: Use rightclick on an image to quickly find out the source of an image, how it is used, or find higher resolution versions via Google Reverse Image search. Adds TinEye search context menu item for images. TooManyTabs allows you to store as many tabs as you like by adding extra rows in the Firefox! Control "User-Agent" HTTP header, per each domain. A really generic user agent switcher. 澳洲邮政没法和中国的顺丰快递相比 "@thisisrui: @WLYeung @wenyunchao @lihlii @MerlotN 拿着打印的追踪纪录到邮局把快件取回来了，邮递员把门牌号搞错了。当场还有一个被投错换包裹的人。。。"
一时冲忙没说清楚，应该先口头警告邮局经营商，然后到消费者委员会投诉，并通知邮政总局。不过依我经验，警告以后会有改善 "@lihlii: @WLYeung 向商人投诉他自己，有啥用呀。我觉得没啥用。@ruanji @thisisrui @wenyunchao @MerlotN"